It’s a pretty good time to be a record label. Last year, it was reported that UK recorded music revenues had risen 10.6% - the biggest leap since 1995. This wasn’t just led by pop blockbusters; the growth was boosted by breakthroughs from artists like Stormzy, Dua Lipa and Rag ‘n’ Bone Man, and there was a 45% leap in streaming subscriptions on top of the continuing vinyl revival. As it’s looking like less of a pipedream and more a legit career move, where do you start in setting up your very own record label? Bradley Zero - DJ, radio host and former Boiler Room programmer, as part of its original team - runs his own labels: the award-winning, global phenomenon that is Rhythm Section International, founded in 2014 off the back of the dances he's held in Peckham since 2009, as well as the more club-led sub-label International Black founded in 2017. 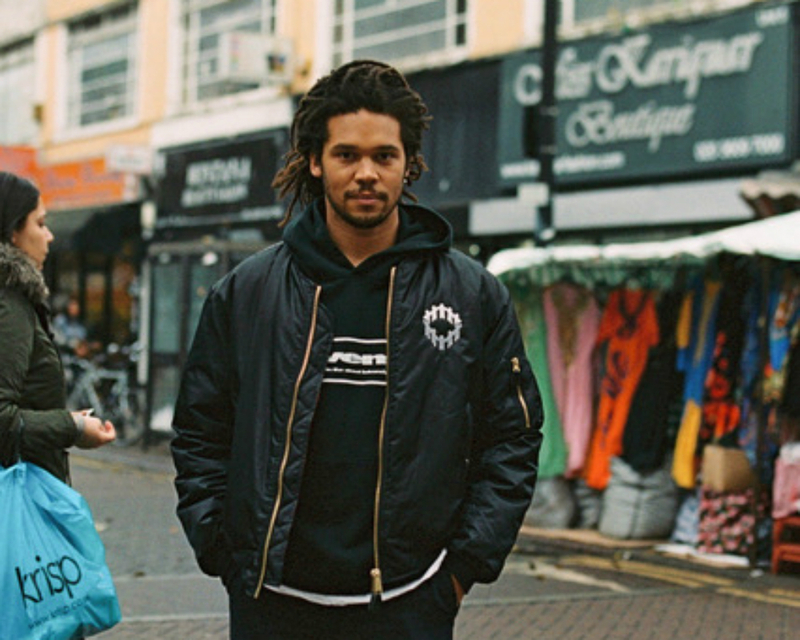 From the start, it was an organic, community-led project, putting out records by people he knew; Al Dobson Jr’s ‘Rye Lane Volume One’, for example, a producer he’d met through Boiler Room. “It chose me in a way,” Bradley says of the first album he put out, back in 2014. “He sent me like 100 tracks, and that was just the tip of the iceberg. I've always wanted to play new stuff on the radio, and be a bit ahead of the curve, and that was one example where I thought, "Wow, I need to do something with this’. In terms of finding music, Bradley says you should start close to home - start with what (and who) you know. “People always ask me how they should start with a label, what they should put out, and the answer is - just look around you,” he says. “As you get deeper into the game of discovering music and growing your reach and places you manage to visit, then you'll naturally find your way into all these different scenes; I went to Australia and I got to know Prequel and 30/70 and Harvey Sutherland and all those people, but I didn't start out watching this from afar thinking, 'Oh I want to be a part of that, how can I release it'. Once you’ve found the artists and tracks you want to release, and had them mastered, then comes the real administrative side of putting out music. “These are the bits that are often forgotten about,” warns Bradley. “Paying the artists, doing all the book keeping, staying on top of royalties [see PPL and PRS for collecting royalties] paying mechanicals [royalties due to artists when their music is reproduced on CD, vinyl, download etc]…a lot of labels are concerned about just getting a record out, and that's all well and good but I also think you have to consider what your point is as a label. According to Bradley you pretty much have to press 300 records and sell them all to break even – “If you do less than that you're losing money, and the artist is definitely losing money too” - if you sell more, you can clear a bit of profit, but it’s also worth considering digital distribution. “Are you going to put it on Bandcamp? Are you gonna have it on Spotify, Itunes? Are you going to send it to a distributor that can put it onto all the main websites like Boomkat and Beatport?” says Bradley, of the digital side of things. “For us that came at a time when we were transitioning from a label that was starting out, to a label that said, "We're here to stay, and we're serious about this". We'd done Al Dobson Jr and Henry Wu, and we followed up with 'Midnight In Peckham' - it was a statement. They were living in Peckham, getting by on a shoestring, and that song was written about a moment in time in a certain place in time and environment...it all just aligned, and it was all really good music. "But sometimes, just good music isn't enough. Timing is really important, and marketing. It comes back to the idea of responsibility of the label. I think people get caught up in the idea of being underground or 'keeping it real'. We put out underground music, we keep it real, and we also want the artists to make a living from their albums.” The idea of supporting artists runs right through Rhythm Section - the team have even built a studio next door to the label offices in South London, to help their artists during the recording process - something new labels should consider doing once they've established themselves. Promotion is another essential part of releasing music. Labels can put something out and people will see it in the record store, or and click onto it online, but if they really want it to be taken up you have to think about strategy, according to Bradley. “So for example radio plugging - while it's not right for every record - the way it works in the UK is that a handful of pluggers are the bridge between the labels and the playlists. If you're really lucky and you make something good, in this realm of music [Rhythm Section] you might get Gilles Peterson or Benji B to play it, but even though they're huge names in our world they're still very specialist niche shows in the grand scheme of things. To get beyond that - to get Mary Anne Hobbs, to get Annie Mac, to get Lauren Laverne, to get Tom Ravenscroft - you need a strategy. Something that also feeds into plugging is playlists inclusion and streaming: most listeners now get their music via these methods. “If it's on an Apple Playlist it's elevated to a higher position than most, if you're up on XL's playlist, or Tom Misch's playlist or something like that, all bigger labels and magazines have their own rotating things - it's important to get on them,” advises Bradley. Of course - especially when you’re starting out - existing contacts are invaluable in terms of pushing records out to as many people as possible. “I got the first Rhythm Section record out to people I’d met through Boiler Room, I get stuff to all the NTS hosts, wherever I've done interviews I'll get the record sent to them an just see what happens.” Other tips for those with small budgets are platforms to help push that music for a low cost, like Hype Filter and Fatdrop / Hustle - basically an aggregation service that sends promos to DJs and other relevant contacts. People on the list can download tracks for free after they've given feedback and a rating. “You might get something from Benji B saying ‘Love this, will try playing on radio next week’,” says Bradley, “and you can use that for press." These services can also push for press too, try and get your artists/records premieres, news pieces, get inclusion in playlists like Hypemachine and Resident Advisor's techno lists, for example, and generally more visibility online. The step above that is to have a publicist working on it, pitching for more long form print reviews, interviews, features, inclusion in top ten lists, get artists invited to events, even branded collaborations. Social media is a whole other side of record label operation - and it’s changed in recent years in terms of advertising and marketing. “You have to pay for stuff now. In the 'good old days' you could just post something and it would gain traction, but it's getting and harder and harder to do that now,” says Bradley. “You have to be clever with that targeting people who don't follow you but you think might like this. Thinking of a list of associations with a certain artist can help. As labels grow, so does the amount of material - demos, promos - that will be sent your way. Bradley says this is something he and his teams on Rhythm Section and International Black are still working on. “It started off as a one man operation with a bit of help, using music I just sort of came across through people that I know. Then in the four years since we started it it's grown into something else,” he says. With Rhythm Section the selection process is basically Bradley and his mates, people he's met organically and who've shared their music with him. "Al Dobson Jr lived in Peckham and I met him at Boiler Room when he came to do a thing with Kutmah, Prequel is Australian but I met him when he came to London, and I went over to visit him in Australia, and we became really good friends. Me and Pinty lived on the same street for eight years, and met through Henry Wu…all these things are really intertwined and it's a big expanding community. There's a story there for everyone, there's pretty much no one who just sent me a demo and I've thought 'Yeah let's put that out' - Rhythm Section is more of a community of artists." But with International Black - the techno influenced imprint - things operate more like a traditional label, giving Bradley a unique view on the founder-led approach as well as a more team-led one. “Having a label that’s so strongly tied to its founder, there are benefits but drawbacks as well. You always have to be present, everything has to go through you or come through you first, before you can get other people's help,” he says. With another ambitious year for Rhythm Section ahead and building up International Black, label founder Bradley Zero shows no signs of slowing down. Maybe this could be you in a few years?